The Braun Series 7 and Panasonic Arc 4 are two of the most compelling electric shavers you can currently buy: they’re reasonably priced and offer excellent performance. Because high-end shavers like the Series 9 and Arc 5 come with a premium price tag and only offer diminishing returns, the older Series 7 and Arc 4 seem to be the more sensible choice for most men. Having been on the market for quite a while, you can sometimes find them at bargain prices, which further sweetens the deal. While both the Braun Series 7 and the Panasonic Arc 4 are two excellent products, there are definitely situations where one would be more suitable than the other. In this comparison we’ll cover all the differences between the Series 7 and the Arc 4, highlighting their pros and cons and hopefully helping you decide which one is better for you. The Series 7 was introduced in 2010 and quickly became a massive hit. It’s probably Braun’s all-time best-seller, being highly acclaimed for its supreme comfort during use, excellent cleaning station, and overall great performance. The Series 7 was constantly updated throughout the years, but the improvements were minor for the most part and didn’t really do anything significant for the actual shaving performance. There are currently quite a few variations still in production, suitable for dry only or wet/dry operation. You also have the option of choosing a Series 7 that comes with or without an automatic cleaning station. All the different product names can seem overwhelming and confusing, but the important part to take away is that performance is pretty much the same throughout the entire Series 7 line. If you want to read more details about all the different models and how they compare to each other, here’s an in-depth post I wrote that addresses precisely that. For most men, the best bet would be the popular Series 7 790cc for dry shaving or the 7865cc for wet/dry use. Both of them come with an automatic cleaning station. 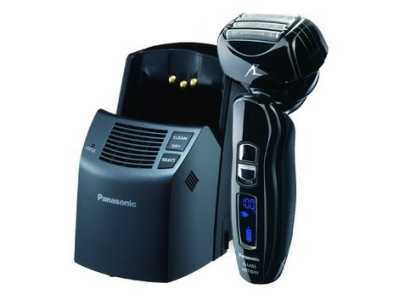 The Panasonic Arc 4 is in my opinion the most underrated line of electric shavers that is still in production. Launched in 2011, it didn’t manage to become as popular as the Series 7, even though it was not by any means inferior. On the contrary, I would argue that it is at least as good as the Series 7 (in most regards). While at the time of launch the price was very high and probably one of the reasons the Arc 4 didn’t become an immediate success, in recent years the prices have dropped significantly and you can now find some fantastic deals for the Arc 4 models. 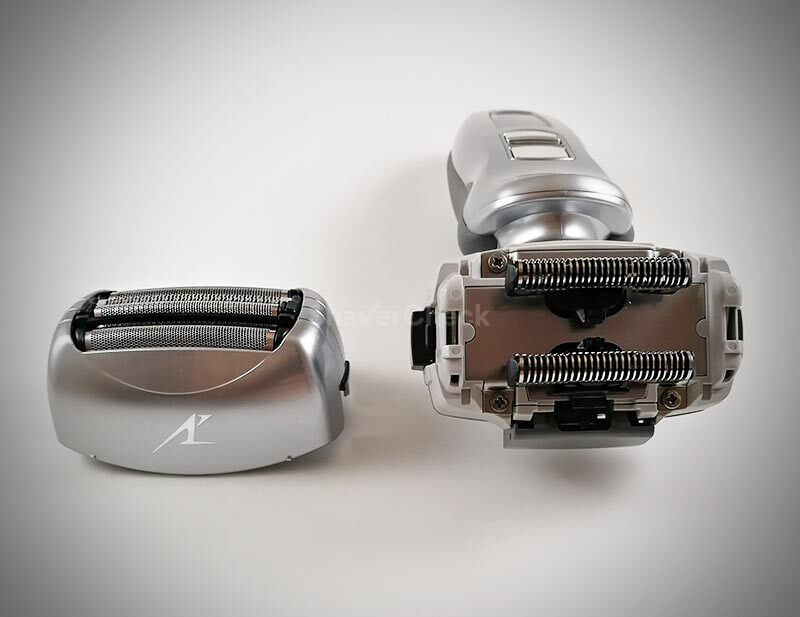 In my opinion, the main advantage of the Panasonic Arc 4 shavers is their sheer power, being fitted with probably the fastest motors in the industry. This, coupled with the excellent and extremely sharp blades make the Arc 4 one of the closest shaving electric shavers out there. As far as variations go, there are several Arc 4 shavers you can choose from, all of them suitable for wet/dry operation. There are a few differences between them as outlined in this post, but nothing that would affect the performance significantly. Personally, I think that the ES-LA63-S and the ES-LF51-A represent the best options in terms of price and performance as I will explain later on. With that out of the way, let’s get to the most important part of our Braun Series 7 vs Panasonic Arc 4 comparison, the differences. You’re probably most interested in how good these two razors shave, so we’ll kick things off with that. We’ll divide the shaving performance into two distinct parts, closeness and comfort. 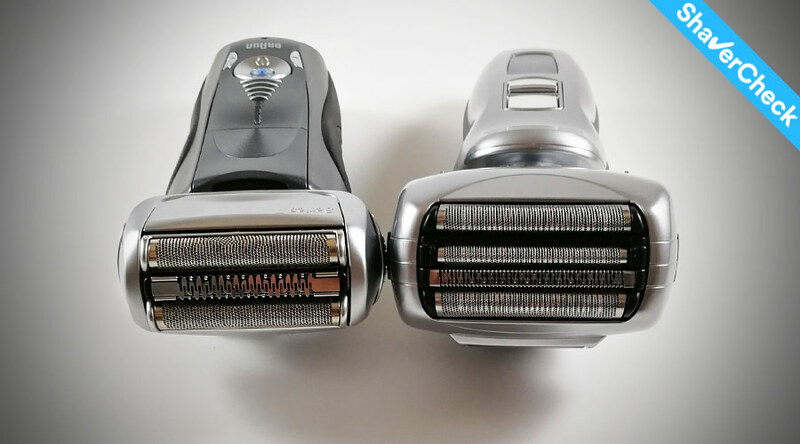 In the electric shaving community there is a general consensus that Panasonic shavers have the edge over Braun when it comes to the closeness of the shave. And after using quite a few shavers, I must say that I fully agree and that’s the case with the Series 7 and the Arc 4 as well. The Panasonic Arc 4 has a more powerful motor, capable of 14 000 CPM (cycles per minute). You can really feel and also hear the difference in power as the Panasonic produces a very high pitched sound during use. The blades used by the Arc 4 are Panasonic’s 30 degrees nanoblades. Despite the gimmicky marketing name, they do perform as advertised and are responsible for a clean and extremely close shave. The thin, arched foils also help maintain optimal contact with the skin. As a result, the Arc 4 is extremely efficient even when used on a very coarse beard, allowing you to shave very close and very fast. 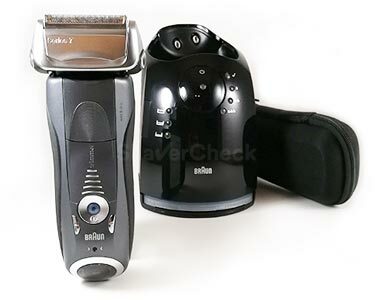 The shaver also benefits from a fourth cutting element compared to only three in the case of the Series 7. While the difference in closeness between the Arc 4 and Series 7 is not huge, if you’re mainly interested in the closeness of the shave you should probably go for the Arc 4. My pick would be the ES-LF51-A that features the powerful 14 000 CPM motor and while it still has 4 blades, the shaving head is more compact compared to other Arc 4 models, making it more nimble and will require less time to get used to its size. It’s also often found at an excellent price, so it’s definitely worth considering. 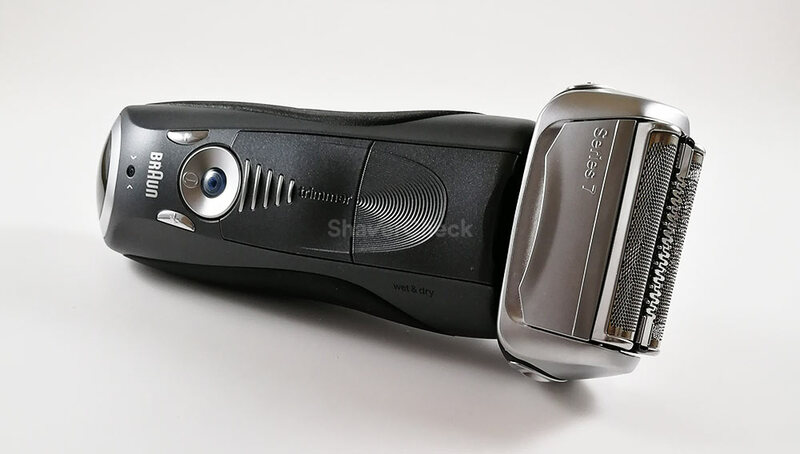 Another good option would be the aforementioned ES-LA63-S; it features more advanced flexing capabilities of the shaving head compared to other Arc 4 variations and it’s also very reasonably priced for the performance it offers. Not directly related to closeness, getting those flat-lying, stray hairs is challenging for all electric shavers. In this regard, Braun definitely has the edge when compared to corresponding models from Panasonic. Their specially designed trimmers that capture and cut hairs that grow in different directions are simply better. 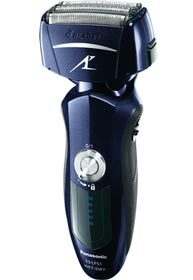 Panasonic shavers usually perform great on short hair, but require more strokes to get longer, flat-lying whiskers. So if you plan on shaving less often, like every two days or more, the Series 7 will likely perform better. While Panasonic is the winner when it comes to sheer closeness, Braun is in a league of its own for the comfort during and after the shave. The Braun Series 7 set a high standard for comfort that was extremely hard to achieve by the other manufacturers. Even today the Series 9 is probably the only electric shaver that manages to outperform it in this regard — and only slightly. The shaving head of the Series 7 remains perfectly cool during use, while the micro-pulsations of the foils feel oddly nice to the face. It is extremely gentle to the skin and very forgiving even if your technique is not on point. This makes the Series 7 the perfect choice for men with sensitive, irritation-prone skin. If you suffer from razor burn the Series 7 is again a better option than the Arc 4. Speaking of which, the Arc 4 tends to get warm during use, particularly the slit trimmer. It’s also more aggressive if you press harder and go over an area repeatedly. This is a downside of the extreme closeness of the Arc 4. You can get reduce the discomfort by always lubricating the blades and by using shaving cream, but out of the box, the Series 7 is the winner. Cleaning is a very important part of owning an electric shaver as you’ll be doing it quite often. 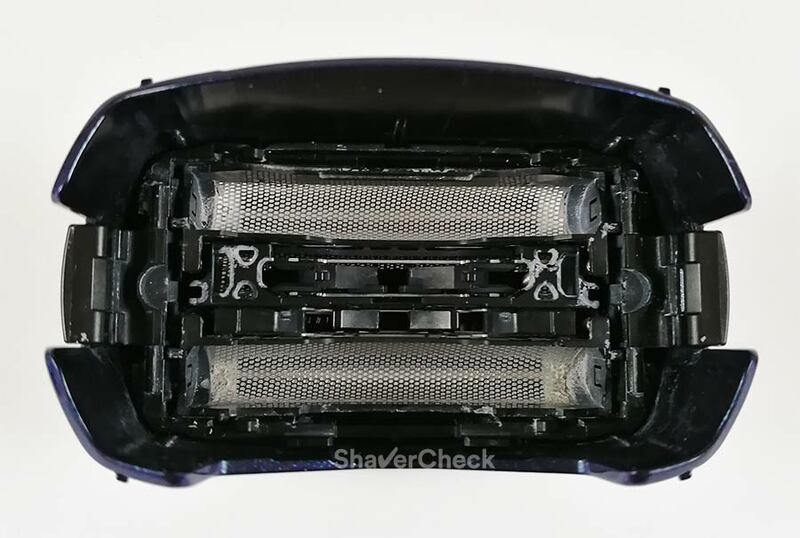 A proper, thorough cleaning will have a positive impact on the performance and lifespan of your shaver. With the Braun Series 7 and the Panasonic Arc 4, you have the option of fuss-free cleaning by choosing a model that includes a cleaning station. There’s also the option of manual cleaning if you don’t mind doing it. However, the Series 7 and Arc 4 differ tremendously when it comes to cleaning as you’re about to see. Braun Series 7 is available in several variations that include a cleaning station. In fact, most of them come with one and there are just a few models that don’t have the station and those generally cost less (the so-called solo models). You can easily tell them apart by looking at the model names: the ones ending in cc (standing for clean & charge) like the 790cc, 799cc, 7865cc etc. come with a cleaning station, while the ones ending in s don’t (for example, the 720s, 740s etc.). So how good is Braun’s cleaning station? Pretty good, actually, and very practical. But most importantly, it’s necessary. It uses an alcohol-based solution that cleans and sanitizes the shaver and leaves it perfectly clean and lubricated for your next shave. The cleaning cycles are very short compared to other stations and some of them even use induction heating to dry the shaver. However, that feature is only available with older models that were now discontinued. On those models, the drying process is completely silent and faster compared to stations that use a fan (like the one that comes with the Arc 4). 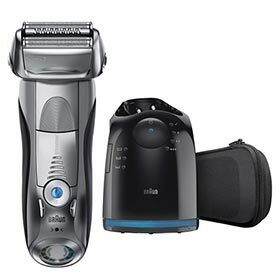 A typical Braun cleaning process takes around 3 minutes and during this time the shaver is switched on and off and the cleaning solution is flushed through the shaving head, removing any hairs and dirt. After that, the station will begin to dry the shaver using induction heat, a process that only takes a mind-blowing 15 minutes, being by far the fastest cleaning station out there. Sadly, Braun decided to stop making these stations and currently all the stations that come with the Series 7 lack any drying system. This means that it takes up to 4 hours for the cleaning fluid to naturally evaporate. The cleaning cartridges are widely available and won’t increase the cost of ownership by a whole lot, even though they are usually a bit more expensive compared to Panasonic cartridges. You can however make the refills last a lot longer by using a few simple tricks and there are also cheaper third-party alternatives. The cleaning station of the Braun Series 7 is well worth the extra costs in my opinion and I would definitely opt for a model that has one. And that’s because the Series 7 can be difficult to clean manually, no matter how thorough you are. The foils and blades are merged into a single piece that offers minimal access to remove all the hair strands and dirt trapped inside. There is also a drawback that you must aware of with the cleaning stations of the Series 7. With the wet & dry models, you must manually clean the shaver of any foam or lather before tossing them into the station. The lather residues will eventually clog the station if you fail to do so. This can be inconvenient as manually cleaning the Series 7 is fiddly, so definitely keep this in mind if you plan on using your Series 7 with shaving cream. This isn’t an issue if you shave dry. Let’s now see how the Panasonic fares in this regard. The Arc 4 comes in several variants in the USA and only one of them includes a cleaning station, the ES-LA93-K. It does the job of cleaning well, but I am personally not a big fan of this station: it is very bulky, noisy and you don’t really need it. On the plus side, there are no restrictions on how you use it if you shave with cream or gel and the cleaning cartridges are cheap. I would personally save some money and just buy an Arc 4 that doesn’t include one, like the ES-LA63-S or the ES-LF51-A because they’re very easy to clean manually as you’ll see next. The ES-LA63-S is actually identical to the ES-LA93-K that includes the station except that it comes in a different color scheme. To sum it up, if the Series 7 looks like a better fit for you, I highly recommend choosing one that includes the cleaning station, especially if you shave dry. If you shave wet with the Series 7 you’ll practically be forced to perform a manual clean as well. That, plus the fact that the Arc 4 works great with shaving cream makes it a better choice for wet shaving. Whether you buy the Arc 4 with or without the cleaning station is entirely up to you. If you skip the cleaning station you’ll have to perform a manual cleaning after every use. 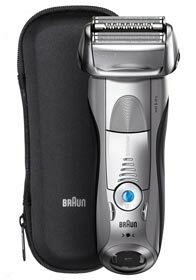 The Braun Series 7 uses the 70s/70b shaving heads called cassettes. Because they have the foils and blades merged into one piece, they are pretty hard to clean manually. This is also the case with other Braun models, like the Series 5 or Series 9. Getting all the hair clippings and dirt out is very fiddly and time-consuming because of the very intricate inner housing of the cassette. So if you can, definitely go for one of the cc models that come with the automatic cleaning station. Note: You can also buy a compatible station later on if you have a Braun Series 7 s (solo) model like the 740s or 7893s. You can’t do that with the Panasonic Arc 4 or other Braun models like the Series 5 or 9. On the other hand, Panasonic shavers are very easy to clean. The shaving head can be taken apart and cleaned thoroughly. You can apply a bit of liquid soap on the foils, let it run for a bit, then just rinse it with warm tap water and you’re all set. The Arc 4 also features a sonic cleaning mode, activated by pressing and holding the ON/OFF switch. This makes the blades vibrate extremely fast for around 20 seconds, dislodging any stubborn debris. To sum it up, if you skip the cleaning station or you prefer to shave with cream or gel, then the Panasonic Arc 4 is clearly the better pick. 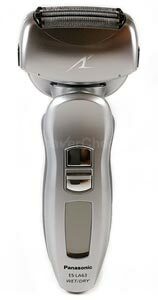 Both the Series 7 and the Arc 4 can be used for shaving in the shower or with shaving cream. However, while all Arc 4 models are fully waterproof and suitable for wet/dry use, the Series 7 still has dry only and wet/dry models available. The latest iterations of the Series 7, like the 7865cc followed the same path as Panasonic and all the newer models can be used wet or dry. If you prefer to wet shave with your electric razor, I would say that the Arc 4 is probably the one to have. Firstly, using the Series 7 with shaving cream or gel doesn’t do much in terms of improving the comfort or the closeness. Shaving dry or wet yields pretty much the same results. With the Panasonic Arc 4, I always manage to get a closer shave when I use it with a quality shaving cream vs when shaving dry. I think this largely has to do with the fact that I can apply a bit more pressure without any of the irritation or discomfort I would sometimes get when shaving dry with the Arc 4. Panasonic shavers in general work great with shaving cream and this one is no exception. It totally transforms the razor and makes it very comfortable to use. So if you want the Arc 4 for the closeness it provides, but you are worried about it being a bit too aggressive for sensitive skin, a solution would be to use it with shaving cream. The second reason to seriously consider the Arc 4 for wet shaving is cleaning. While both the Series 7 and Arc 4 can be bought with an automatic cleaning station, the Series 7 must be completely dry and free of any foam residues before using the cleaning station. Failing to do so can clog the cleaning station. This means that you’ll have to manually clean it beforehand. For the Arc 4, particularly the ES-LA93-K, this is a non-issue and there are no restrictions to how you use the station. Also, in the case of manually cleaning the razors, the Arc 4 is definitely easier to clean compared to the Series 7 as we saw in the previous section. Braun is one of those companies that have a strong heritage, with iconic products and world-famous designers like Dieter Rams. The Series 7 has an understated design compared to the flashy Series 9 for example, but it is still aesthetically pleasing. Moreover, it feels very sturdy and durable. 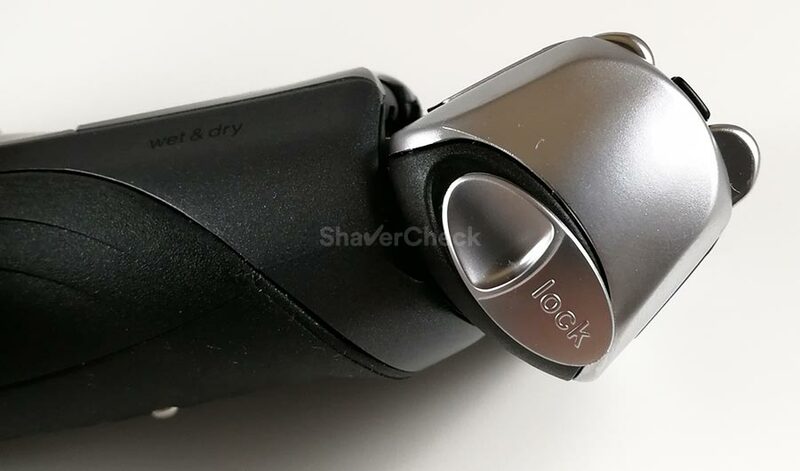 The shaver has substantial girth, but it is well balanced and comfortable to hold. 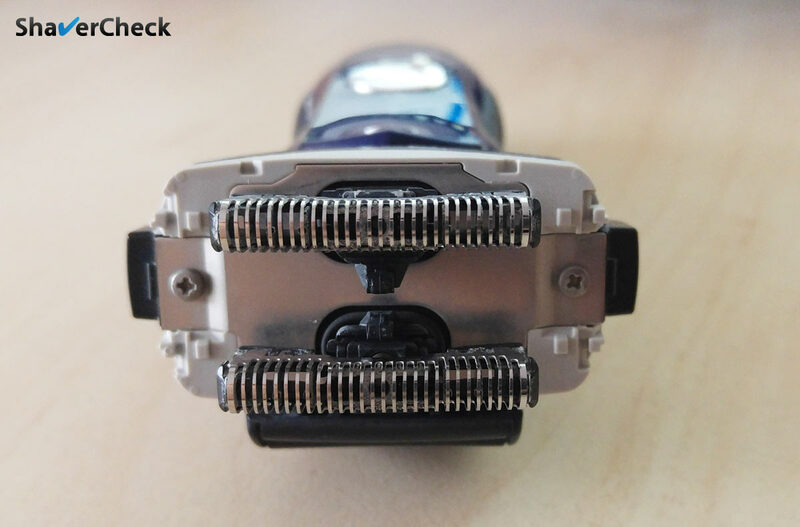 There are only two issues with the Series 7 that are pretty well known in the electric shaving community. The first one is the head locking mechanism that is prone to breaking if excessive force is applied when the head is locked, so keep this in mind. The second one is caused by the alcohol in the cleaning solution that comes into contact with the shaver and over time the paint right below the shaving head can start to flake and chip. The damage is only visual though, with no effect on the shaver’s performance. The Panasonic Arc 4 fares very well in the build quality department. I’ve been very impressed with the build quality of most Panasonic shavers, regardless of the price category. The Arc 4 shavers are made entirely out of plastic, but it’s a very high quality and durable plastic that also copes very well with tarnishing and daily abuse. The body of the shaver tapers nicely and fits great in the hand. The Arc 4 is a bit more adventurous than the Series 7 in terms of aesthetics, even though it’s starting to look somewhat dated next to Panasonic’s latest shavers. I particularly like the ES-LA63-S with its gunmetal finish and the contrasting blue text on the LCD screen. As a conclusion, I would say that both the Braun Series 7 and the Panasonic Arc 4 score very well in this category, with the Arc 4 having the edge. The Series 7 vs Arc 4 comparison wouldn’t be complete without a look at the costs of buying and owning the shavers. As mentioned at the beginning of this post, these two are arguably the best foil shavers in the mid-range category. It’s important to note that I only consider them mid-range shavers with regards to the price; in terms of performance, they manage to get quite close to high-end offerings like the Arc 5 or Series 9. Let’s not forget that at the time of their launch the Series 7 and Arc 4 were the flagship shavers from Braun and Panasonic respectively. Since then, their price has seen significant drops and they currently offer fantastic value for money, especially if you take the time to do some research prior to buying. Regarding the initial investment, buying the shaver itself, the Arc 4 usually costs less, even in the LA93-K variation that includes the automatic cleaning station. 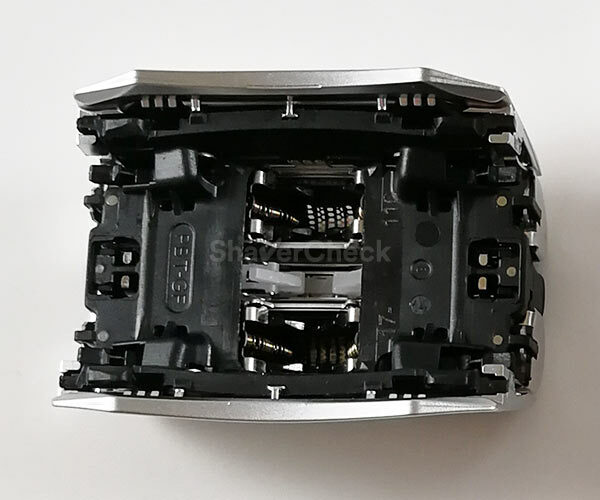 If you’re looking for the best bang for the buck, the Arc 4 ES8243A can usually be bought for a very low price and you get a lot of shaver for that money. The full review can be found here. 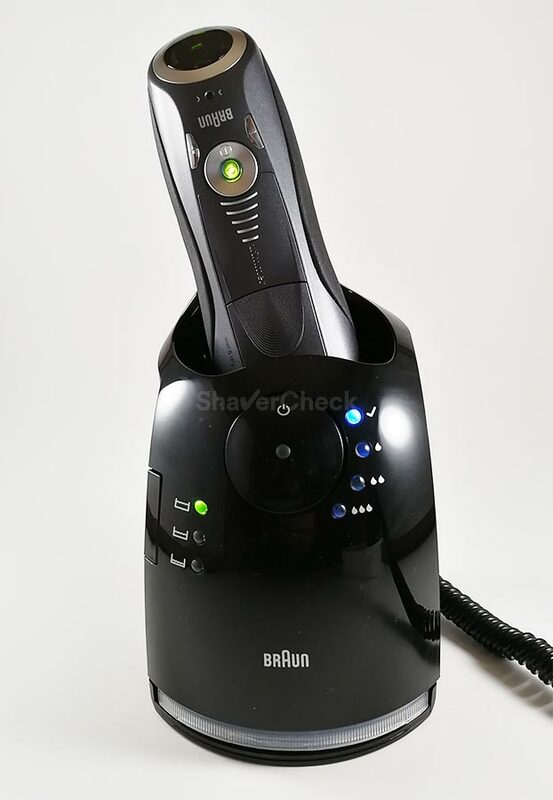 If your budget allows it, I recommend spending a few extra dollars on the ES-LA63-S reviewed here as it uses a slightly more powerful motor (14000 CPM vs 13000 CPM), has a more advanced flexing head and features a second motor inside the shaving head that vibrates to capture hairs more efficiently. The ES-LF51-A is another great option if you can find it at a discount. 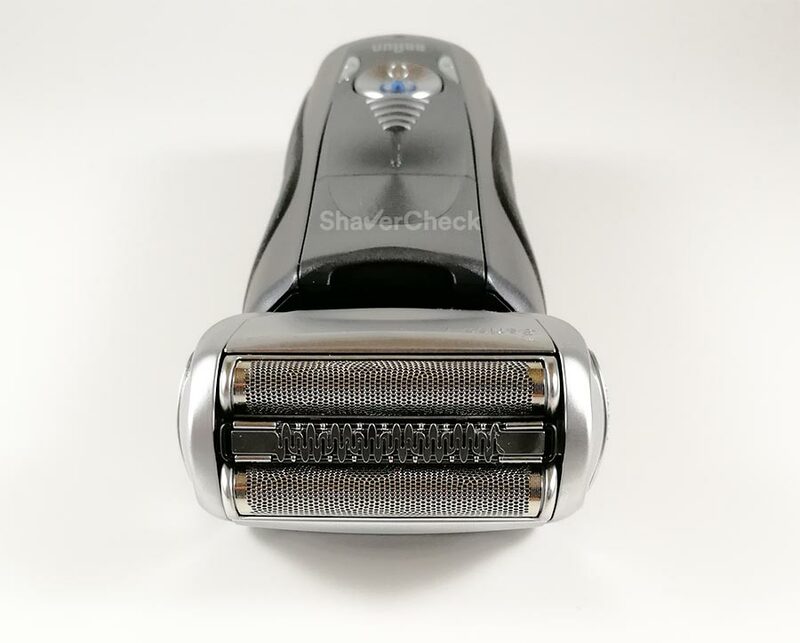 It doesn’t have the extra features of the ES-LA63-S, but it’s still a great performer with a more compact shaving head and has the same 14 000 CPM motor. You can read my full review here. Again, with the Arc 4 I actually recommend skipping the cleaning station for the reasons outlined in the cleaning section. The Series 7 is usually more expensive to buy compared to the Panasonic Arc 4. My personal picks would be the Series 7 790cc for dry shaving or the 799cc/7865cc for wet/dry use. But since most men will probably end up using them dry anyway, just buy the one you can find at a better price. The s (solo) models are cheaper than the ones that come with a cleaning base, but again I think the station is useful to have. The costs of owning an electric shaver are directly related to replacement foils and blades and the optional cleaning cartridges. At the moment of writing, Braun’s replacement shaving head for the Series 7, called a cassette, costs pretty much the same as the foil + blades combo for the Arc 4. So there aren’t any significant differences between the Series 7 and the Arc 4 when it comes to buying new shaving heads. A good rule of thumb for how often you should replace them is one year, even though Braun recommends buying a new cassette every 18 months. Regarding the cleaning cartridges, the price per cartridge has dropped significantly for the Panasonic and they are now a lot cheaper than to the ones needed for the Series 7. This could be a very compelling reason to buy the Arc 4 with a cleaning station, despite the fact that it’s not absolutely necessary as the shaver is very easy to clean manually. The Panasonic cartridges also tend to last more, so the price per one cleaning cycle is even lower in the case of the Arc 4. It’s worth noting that Braun uses alcohol for the cleaning solution, so it will evaporate pretty fast. Therefore, it’s a very good idea to remove the cartridge from the base and put the cap back on if you won’t be using it for a long time. Panasonic uses detergent, so you don’t have to worry about this with the Arc 4. 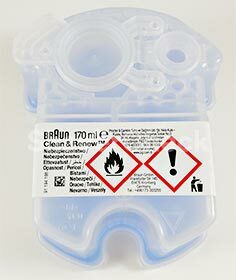 However, if you only use your Braun station once in a while (for a thorough cleaning) and put the cap back on the cartridge in the meantime, you should get a quite a few good months of use from a single cartridge. Overall the Panasonic Arc 4 is cheaper to buy and even to own, so if you are on a tight budget the Arc 4 seems like the better option. If you’ve come this far into this comparison you should now have at least a preference toward the Series 7 or the Arc 4. 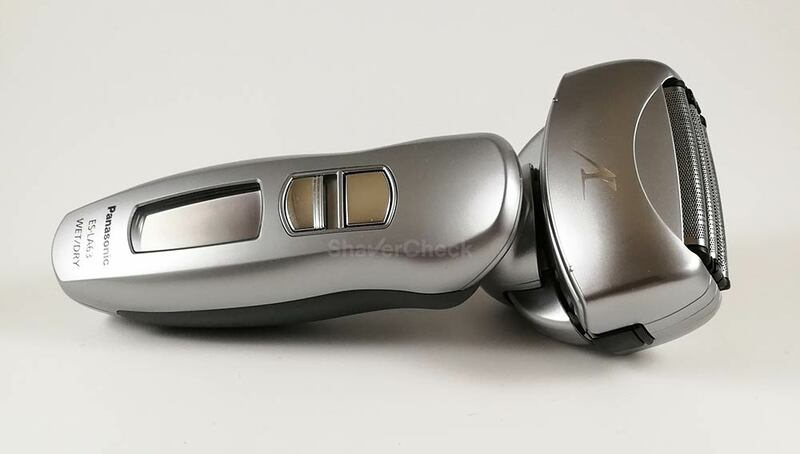 While they are both very capable shavers, they also excel at different things, so depending on your personal needs one would probably be more suitable than the other. So here are a few guidelines to help you choose between the Braun Series 7 vs the Panasonic Arc 4. This concludes our comparison of the Braun Series 7 and Panasonic Arc 4. 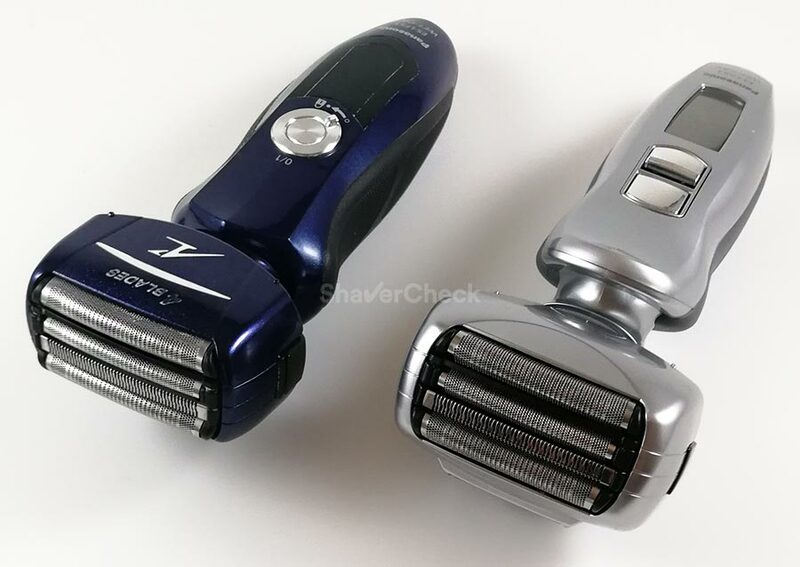 Despite their age, I still consider these particular razors to be the optimal choice for most men. There are other shavers from the same manufacturers that perform slightly better — the Series 9 and the Arc 5 — but do so for significantly more money. Both the Series 7 and the Arc 4 have been around for quite a while and I must say that I am very excited to see if Panasonic and Braun will decide to update them. And by that, I mean new products from scratch, like Panasonic did with the new Arc 5 and Arc 3. But until then, the end users are the ones that will benefit the most from these great shavers and the fantastic value for money they offer. Home » Articles & Guides » Head to head » Braun Series 7 vs Panasonic Arc 4: Which One Is Better? I’ve read through several of your articles tonight and find them very helpful. I appreciate your thoroughness and objectivity. Years ago I owned a top-of-the-line Panasonic wet-dry shaver. It was amazing. I don’t remember the model, but it had an induction charger stand rather than a cleaning station. I think it would have lasted forever had my son’s young boxer not chewed it up. I wanted to replace it with another Panasonic, but when I went shopping I found that the high-end Panasonic was a lot more expensive than the high-end Braun Series 7. I don’t remember the Panasonic model number, but it seems it was about $100 more. What put me off perhaps more was the size of its shaving head. It looked huge compared to my old Panasonic’s sleek one. The Braun’s was more compact and more the size of my old Panasonic’s. I have a tendency to irritate my upper lip if I’m not careful shaving above it, and it seems a thick shaving head would be a problem. Based on price and ergonomics, and a Consumer Reports rating that included the Braun but not a high-end Panasonic (to my disappointment), I got the Series 7. I’m surprised you haven’t mentioned the bulk of the Arc 4 and Arc 5 shaving heads, since you did mention the difference in your Series 7-Series 9 comparison. Do you have any thoughts on the size? Thank you for your comment. 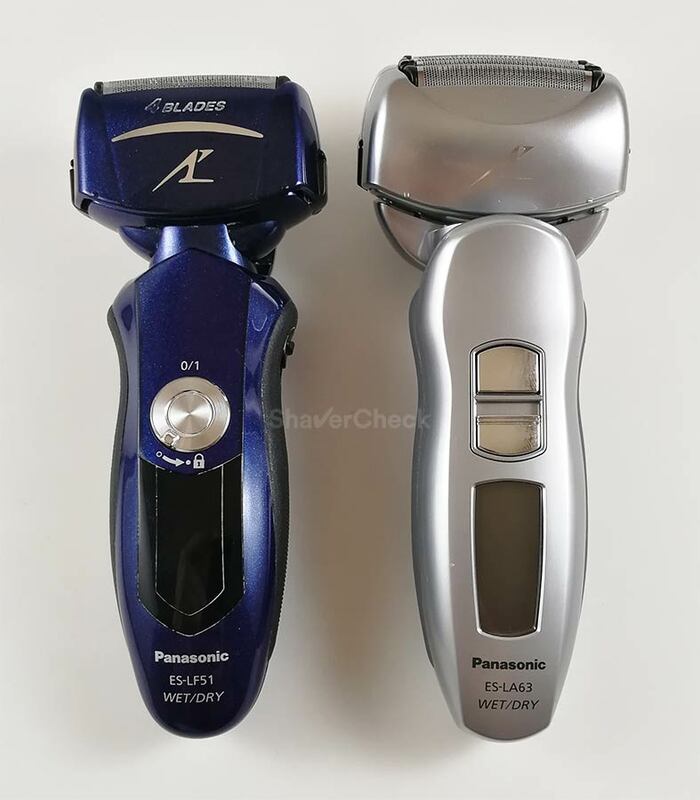 Your older Panasonic was most likely a 3 blade Arc 3 model or one of the previous, straight foil shavers that preceded the Arc 3 line. I am basing my assumption on the fact that the shaving head was significantly smaller in comparison to the high-end Panasonics, the Arc 4 and Arc 5. I actually use a Panasonic Arc 4 pretty often and I can honestly tell you that the size of the shaving head is not an issue. It may be awkward at first, but once you get used to the proportions it’s all good. When shaving right above the upper lip, being a very narrow area, I only use one of the two outermost foils. So even if the head is quite large, only one foil comes into contact with the skin and does the actual shaving. You didn’t mention if the Series 7 works well for you, but I hope it does and you are satisfied with the results. I would have probably told you to get a Panasonic Arc 4 as a replacement for your older shaver, especially since you were pleased with its performance. Compared to the Series 7, most Arc 4 models are priced significantly lower (the ones that don’t come with a cleaning station) and in my opinion they shave closer and faster, even though the Series 7 is more comfortable and forgiving. Hi, I’m prone to razor burn and nicks with razors, i tried everything, Mach 6, Mach 5, the 3 blade Gilette and even a safety razor with high end oils and creams. I have yet to make the plunge into electric shave world. My biggest issues are nicks/burns (especially around adams apple) and a lack of closeness im shave. I’ve been looking at the Arc 4, Braun 7 and 9. The 9 seems the best…but that price. So it’s probably between Arc 4 and Braun 7. I’m also in favor of the wet/dry feature. Can you guide me please? Both the Arc 4 and Series 7 are great shavers, but as I said in the article they do have some specific shortcomings. The Arc 4 shaves closer, but it’s not as comfortable and can’t handle longer, flat lying hairs as good as the Series 7. I too have sensitive skin and using the Arc 4 dry would often inflict some razor burn and rashes. However, with a high quality shaving cream it’s actually very comfortable, at least in my case. The Series 7 is very gentle and forgiving during a dry shave and works great for flat lying hairs. There are wet/dry Series 7 models out there, but a shaving cream didn’t improve the closeness to a significant degree in my experience. For that reason I recommend the Series 7 if you’ll be shaving dry for the majority of time. Fantastic detailed review! That helps a lot! The Arc sounds like a winner to me. Thank you for your comment, Steve! I’m glad you found it helpful. Hi Ovidiu. Thank you for your reviews. I have read several and have enjoyed the information you have shared. 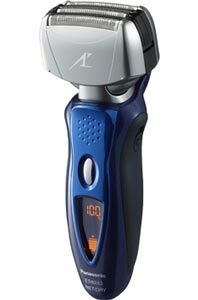 I have a panasonic es-la63 that I have had for about 3 years and the trimmer stopped working so I’m going to get a new razor. I’ve had rotary before but like the foil ones better. I am considering a Braun Series 7 (maybe 9 if I get a good deal) and getting another panasonic es-la63. I generally dry shave daily except for the weekends and sometimes when I am on vacation. The thing that has bothered me about my Panasonic has been when I have more than two days growth. I find that it feels like it is pulling out my hairs and I have to finish the shave with a regular razor in some areas. Sometimes I will shave the night before and then hit it again in the morning to get those stubborn areas if I haven’t shaved for more than a week. After reading through your review and some of the comments, it sounds like the Braun may be better for me with the 2-3 days growth I typically encounter Monday morning. Although I don’t typically use the shaver for a wet shave I like the idea that I can, so I do want to stick to the wet/dry. I like the ease of cleaning with the Panasonic and that the lcd tells you when to clean it, but the idea of the cleaning station and being able to push a button and not think about it seems nice. Thank you for your comment. All things considered, I’d say that the Series 7 seems like the one to have. I’ve been using my 7865cc quite often lately and it’s a great shaver especially when I have a 2 days beard. 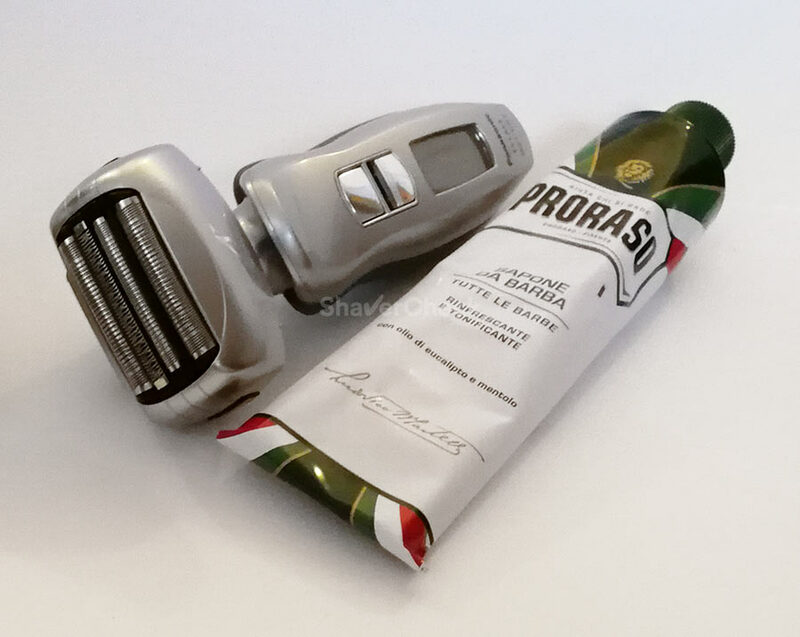 I have never experienced any pulling and it is a lot more comfortable compared to the ES-LA63-S, especially during a quick dry shave. I never really got a much better shave from a Series 9 and I think most men would be perfectly fine with the 7 and also save some money. I use the Panny with shaving cream most of the time, but I almost always shave dry with the Series 7 because it’s still very comfortable and shaving cream doesn’t really do anything, at least not for me. 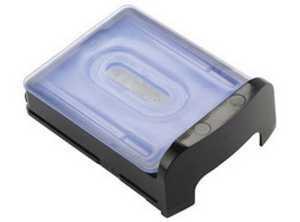 It is more difficult to clean manually, but you can get one that comes with a cleaning station (7865cc, 790cc etc.) and just use it once every week or so to save some cleaning fluid. You can clean the shaver with liquid soap and water in the meantime. Thank you for the reply. I found the series 7 at Walmart for a good price plus a $35 rebate. Can’t wait to try it out.